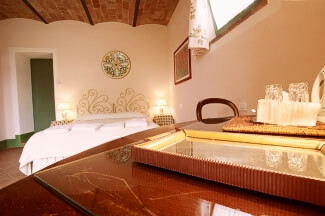 If you are looking for: inviting, comfortable, spacious accommodation in Tuscany, with clean and beautifully appointed bedrooms in a tranquil environment and caring hospitality, Podere Salicotto is the choice for you. The six rooms, each with beamed ceilings and terracotta floors, are airy, bright and welcoming with stunning views of the countryside. 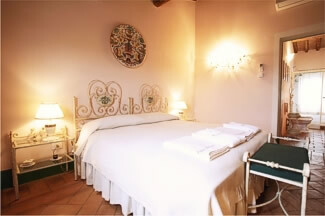 All are decorated with a palette of soft Tuscan colours and furnished with antiques in a simple, elegant style. 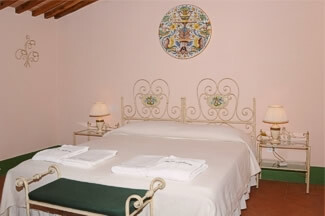 All rooms have private bathroom and double beds and on request twin beds. 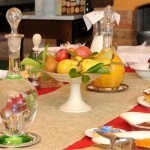 The common areas of this family run b & b consist of a fully equipped kitchen for you to use as well as a BBQ. 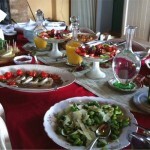 You can return from the villages with your haul of produce and create your own meal. 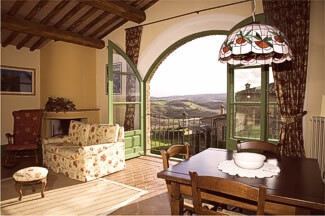 A dining room with working fireplace and SAT TV and a very comfortable and well furnished living area will make your stay very pleasant. 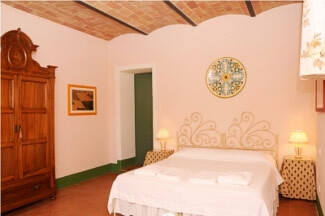 Wireless internet access is available in all common living areas, in the studio-apartment and beside the pool. 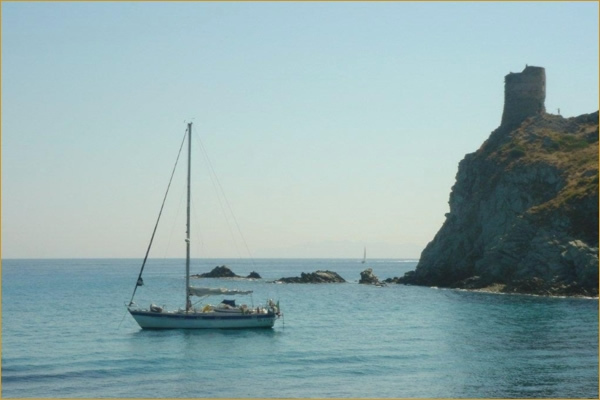 The infinity swimming pool with salt water is 7 x 14 m and has stunning views of the countryside in every direction. 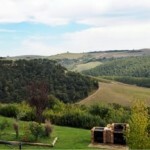 Mountain-bikes are waiting for you anytime you wish to bike up and downhill. 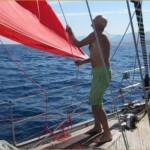 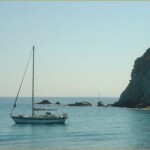 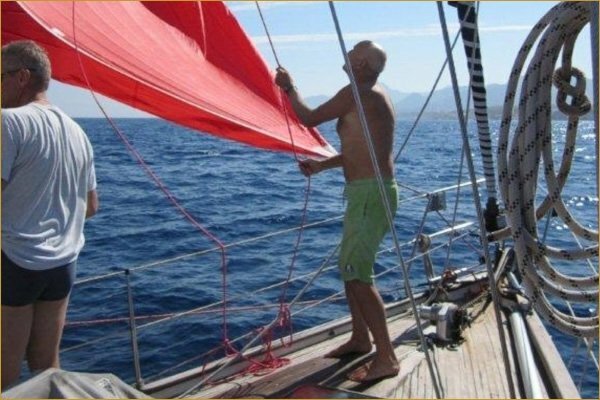 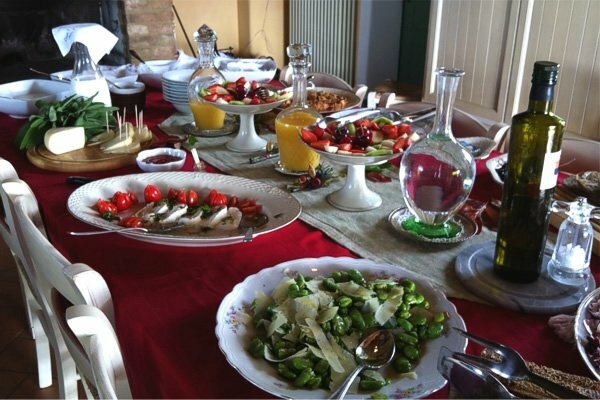 The b & b also offers cooking classes using ingredients from their own organic garden, yoga classes, hikes, bike rides, horse riding or you can even enjoy a sailing trip. 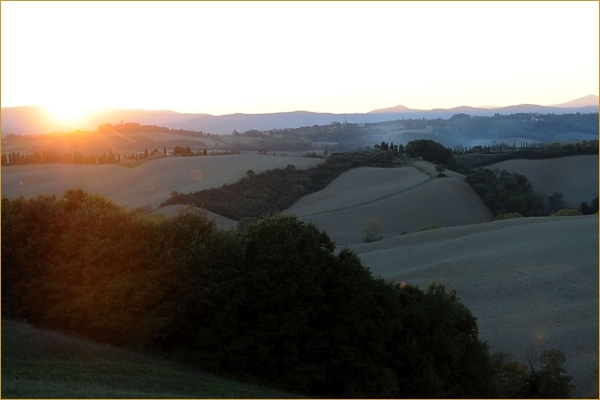 Siena, the Abbeys of Monte Oliveto Maggiore and Sant’Antimo, Montalcino with its Rosso and Brunello, the Pecorino cheese in Pienza and the Vino Nobile in Montepulciano: the location is a perfect base for touring Tuscany. 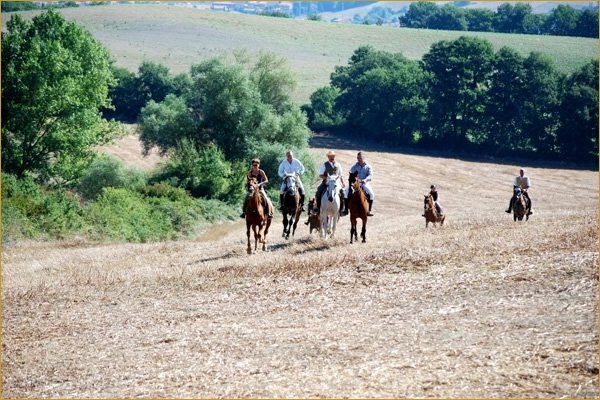 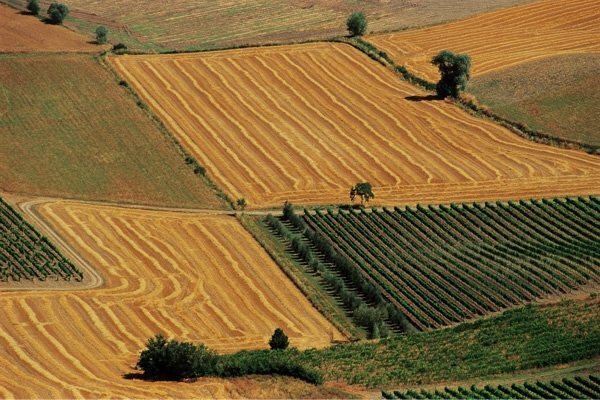 Florence, San Gimignano, Volterra, Chianti, the coastal Maremma and ancient Etruscan towns of Pitigliano, Sovana and Sorano are all comfortable day trips from Podere Salicotto. 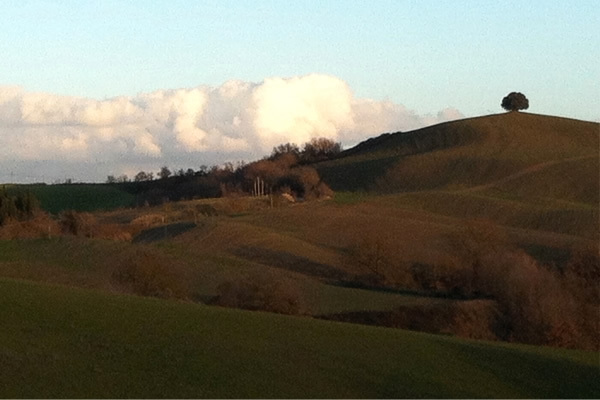 Buonconvento, a medieval village on the famous walking and hiking route ‘Via Francigena’, is only 2 km away. 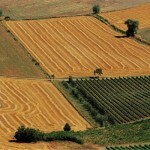 Here you have all the services you need: banks with ATM’s, supermarket, pharmacy, rail station and excellent restaurants. 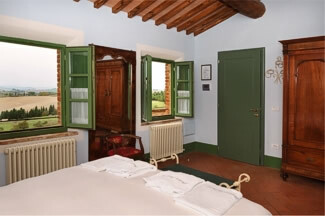 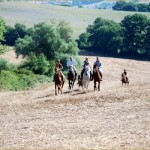 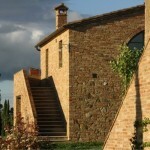 This rural hotel is located south of the old town Siena. 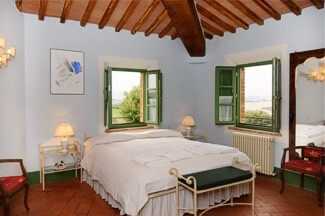 The rooms, each with beamed ceilings and terracotta floors, are airy, bright and welcoming with stunning views of the countryside. 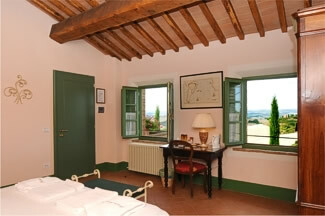 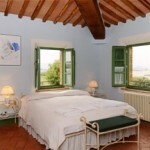 All are decorated with a palette of soft Tuscan colors and furnished with antiques in a simple, elegant style. 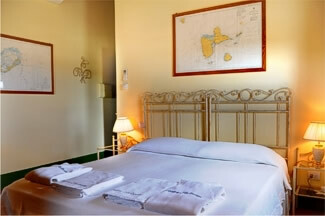 All rooms have private bathroom and double beds and on request we can offer twin beds as well. 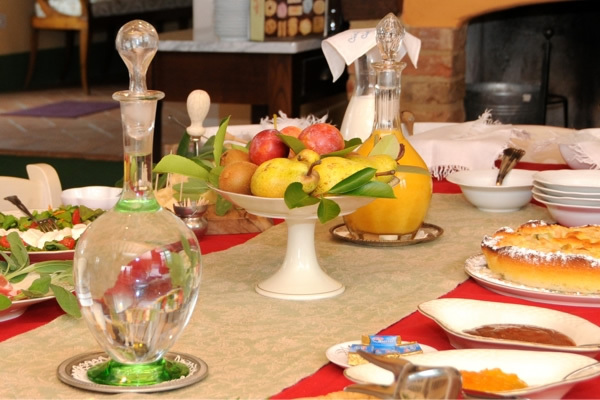 Air-conditioning, kettle with tea/coffee, safe, hair-dryer, monogrammed linens and bathrobes as well as excellent showers are additional amenities. 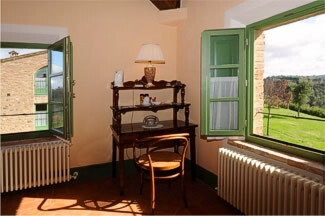 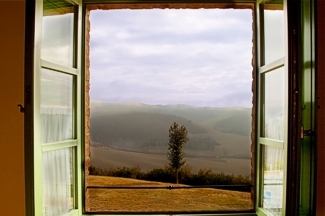 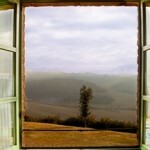 The b & b also offers a unique, self-catering suite with breathtaking views of the countryside in all directions. 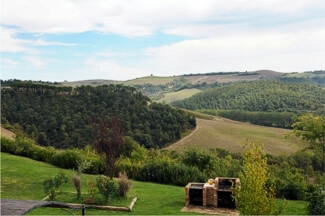 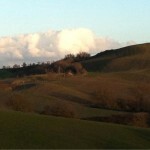 To the south the twinkling hilltop lights of Montalcino are only a 15-minute-drive away. 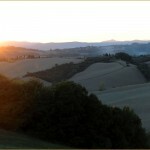 To the northwest the skyline of medieval Siena merges into magnificent golden sunsets. 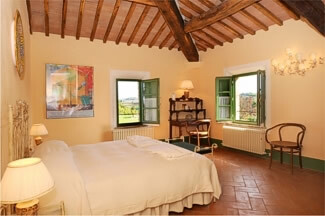 The suite has been updated with terracotta floors and wooden beams, while its walls are painted a soft and warm Tuscan yellow hue. 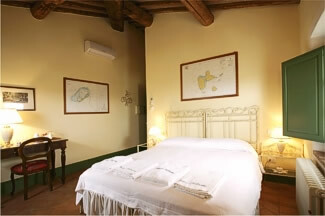 Originally part of the historic property called “Podere Salicotto”, located just outside the medieval village of Buonconvento, the suite occupies the upper floor of the renovated barn, a few metres from the main house. 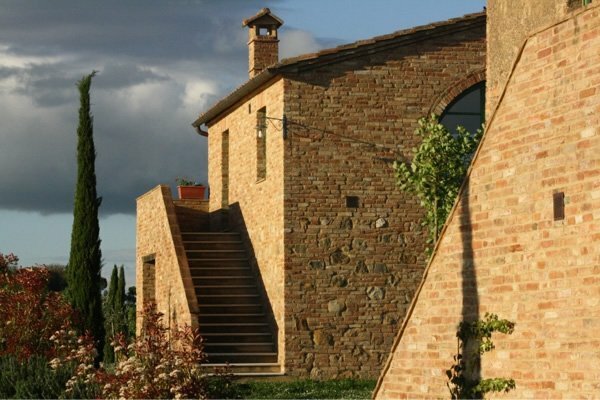 Having your own entrance allows you to enjoy the stunning views of the Crete Senesi countryside and amazing sunsets in relative privacy. 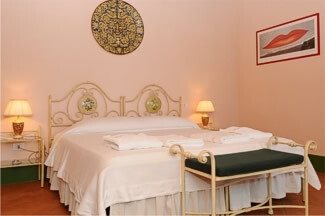 Air-conditioning, safe, hair-dryer, monogrammed linens and bathrobes as well as excellent showers are additional amenities. Appropriately named “Belvedere”, the suite is the ideal suite for honeymooners, a party of friends or a family. 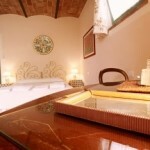 It can sleep 2-4 guests, but it has not 2 separate bedrooms.